In the second installment in her supernatural Taker trilogy, Alma Katsu, author of the highly acclaimed The Hunger, takes you on a breathtaking 200-year journey through the landscape of the heart. Now, two hundred years after imprisoning Adair, Lanore is trying to atone for her sins. She has given away the treasures she’s collected over her many lifetimes in order to purge her past and clear the way for a future with her new lover, Luke Findley. But, while viewing these items at an exhibit at the Victoria and Albert Museum in London, Lanore suddenly is aware that the thing she’s been dreading for two hundred years has caught up to her: Adair has escaped from his prison. He’s free…and he will come looking for her. And she has no idea how she will save herself. With the stunningly imaginative storytelling and rich characterizations that fascinated readers worldwide and made The Taker a singular and memorable literary debut and an international sensation, Alma Katsu once again delivers “a powerful evocation of the dark side of romantic love” (Publishers Weekly). This reading group guide for The Reckoning includes an introduction, discussion questions, ideas for enhancing your book club, and a Q&A with author Alma Katsu. The suggested questions are intended to help your reading group find new and interesting angles and topics for your discussion. We hope that these ideas will enrich your conversation and increase your enjoyment of the book. In the sequel to Alma Katsu’s riveting debut novel, The Taker, The Reckoning opens with Lanore embarking on a new life—attending a museum exhibit showcasing a collection of her lost nineteenth-century treasures with Luke who has fallen both into her immortal, hidden world and in love. She has seemingly outrun her past and has broken free from Adair’s eternal power, imprisoning him over two hundred years ago. Yet when Adair breaks free from his cell, a treacherous hunt begins; one that will surely end in bloodshed. As Adair regains his strength and struggles to adapt to modernity, he vows vengeance against his once-beloved Lanny. Flashbacks to past centuries, dark magic, and wanton violence pepper The Reckoning as it swells to an intense showdown between Lanny and Adair. In the moment of truth, Adair must choose to put aside his feelings for Lanny in order to exact his revenge, or to forgive her betrayal and try to win back her love. 1. In the beginning of The Reckoning, does Lanny seem like she is living a happy life with Luke? What are her concerns and hesitations about Luke? 2. Consider the quote Lord Bryon inscribed on Lanny’s fan: “Man’s love is of man’s life a thing apart, ‘tis woman’s whole existence.” What does this quote mean to you? Do you think it foreshadows any future events in the novel? 3. Do you think Adair deserved to be locked away for two hundred years? Did Lanny have any other choice? Do you feel any sympathy toward Adair? Why or why not? 4. The Taker begins with Lanny confessing to murdering Jonathan, the eternal love of her life. Do you believe that she should be held to society’s rules and tried for her crime? Or do you think the circumstances excuse her actions? 5. Do you think Luke made the right decision to follow his heart and run away with Lanny? What did he sacrifice? What would you have done if you were Luke? 6. When Lanny sensed Adair was pursuing her, do you think she made the right decision to leave Luke? What did this choice tell you about her character? 7. In your opinion, do you think Lanny is capable of ever really giving her heart to a mortal man, with the knowledge that the man will leave her behind by aging and dying? Do you think she can ever truly love anyone other than Jonathan? In your opinion, do you think it is possible to be in love with different people at the same time? 8. If given the opportunity, would you choose to live for eternity? Would you consider it a blessing or a curse? How does Lanny view her immortality? Adair? Pendleton? 9. What does Lanny learn during her time with Savva in the Middle East? How does her ill-fated love affair with Abdul influence her perspective on relationships? 10. Which do you think would be a worse punishment for Lanny—to be possessed for eternity, like Uzra, or to die? Explain your answer. 11. Jonathan and Lanny do not spend any time together after his reincarnation. Were you surprised by this turn of events? Do you think they ever had a real chance at reconnecting romantically? 12. How was Jonathan changed by his death? How did his feelings for Lanny change in his reincarnated state? 13. Do you believe that people can genuinely change the way Adair seems to have changed by the end of The Reckoning? Compare Adair and Tilde’s capacity to change and evolve as characters. 14. Which characters are you most interested in learning more about in the next installment of The Taker Trilogy? Do you think Lanny is capable of forgiving Adair, as he hopes? Do you think they stand a chance at finding happiness together—for eternity? 1. Consider serving a signature “elixir” at your book club discussion by adding food coloring to an ordinary drink or by serving it in a unique bottle or glass. Before everyone drinks their “elixir,” go around the group and have everyone state what they would mix a potion for if they had knowledge of alchemy. 2. Create a “reverse” bucket list with you book club. Go around the group and ask: What would you do if you were never going to kick the bucket? What would you want to accomplish if you literally had all the time in the world? 3. 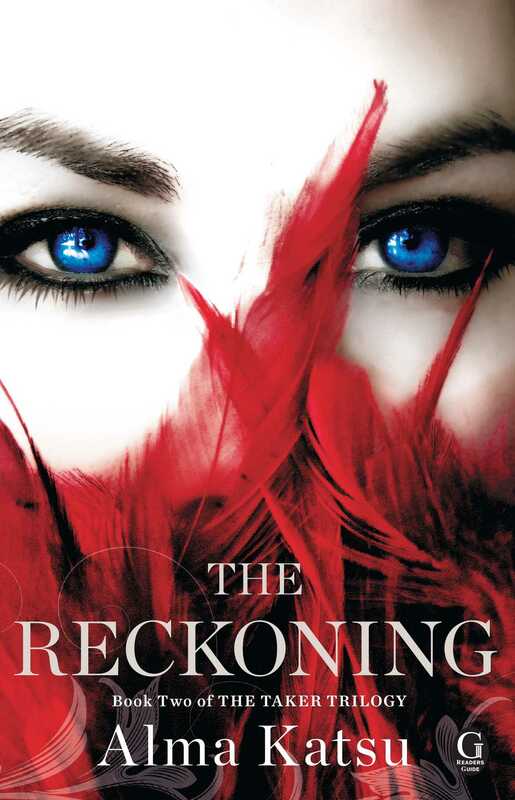 The Reckoning takes place all over the world—from Casablanca, to Venice, to Boston, to London. Print out a map of the world and chart Lanny and Adair’s travels. Discuss with your group how each new setting impacted the narrative action and tone of the story. For maps available to print, visit www.english.freemap.jp/world_e/6.html. 4. 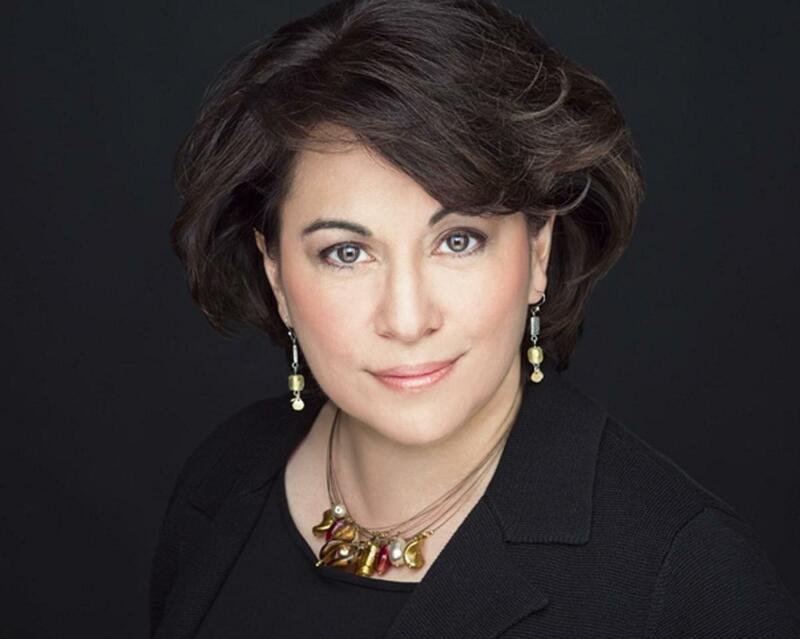 Do you have a question for author Alma Katsu? Consider inviting her to your book club discussion of The Reckoning! Find out more about The Taker Trilogy and about how to contact Alma by visiting www.almakatsu.com/books.php. How did the process of writing The Reckoning differ from writing your first novel, The Taker? It was completely different. Okay, aside from a laptop computer being involved and getting to work with the same editor, Tricia Boczkowski, it was completely different. It took ten years to write The Taker on my own, wandering in the wilderness, as it were, whereas with The Reckoning I had about twenty months and a very clear idea of the story, and the process still didn’t go as I expected. Add the usual angst associated with a sophomore book—you’ve pulled a rabbit out of a hat once, but can you do it again?—and all these voices that you now have in your head, the less-than-stellar reviews and criticisms (which every writer gets) of the first book to deal with. Luckily, I have several friends who were also working on second books and we’d get together for lunch and have a good cry. It helps to know other people find it as maddening as you. In The Reckoning, your second book in the trilogy, you delve deeper into the sources and extent of Adair’s alchemical power. How does alchemy’s real history compare to Adair’s life experience? The practice of alchemy can be seen as the transition between the time when man solely used philosophy/theology to make sense of the world and the beginnings of modern science. It’s chemistry and physics, but intertwined with religion and spirituality, or—another way to think of it—looking to the natural world for evidence of the divine. Alchemy was practiced for a long time and by many cultures, so—to address the question directly—I think its “real history” covers a wide range of experience. In other words, I don’t think there is only one valid “experience” of alchemy. In classical Greek times, practitioners were more apt to look for evidence of the divine in their experiments than, say, a later Westerner practitioner like Sir Isaac Newton. Unlike Sir Isaac Newton, however, Adair studied alchemy over centuries. He started in the flat-earth days, when some worried that attempts to understand the physical world would be an affront of God, and became more inclined over time to see his experiments as purely scientific. Is alchemy truly magic, or just mastery of natural resources and processes? Would you consider modern-day medicines and procedures comparable to ancient alchemy? Alchemy is an attempt to understand the world through both the natural/physical and the philosophical. The two are fused; you can’t say alchemy is one or the other, and it’s a reflection of our times (or perhaps Western thought) to think that alchemy can be defined in these terms. The best way to think of it might be as a sliding scale, with pure spirituality on one end (think Paul Coelho’s novel The Alchemist) and pure science (Sir Isaac Newton) on the other. Even the “holy grails” of alchemy, the Philosopher’s Stone and the Elixir of Life, have metaphysical properties that can’t be derived solely from the physical world. Which is why people don’t practice alchemy these days: because we in the West tend to separate modern science and spirituality into two different realms. The scientific and the spiritual have each been banished to its own corner, and we look to science alone to explain the unknowns of the physical world. We know through chemistry that you can’t turn lead into gold, case closed. Or is it? Look at quantum physics: latest research only goes to show that our understanding of the universe is incomplete, and new properties are being uncovered that, at this early stage, look an awful lot like magic. What the reader should notice in The Reckoning is that while Adair professes to be a man of science, the feats he performs are more in the realm of magic, even if he doesn’t acknowledge this. There’s a reason, and it will be explained—all will be explained—in the next book, The Descent. In The Reckoning, Lanny donates belongings acquired over several lifetimes. What was your inspiration when you described these items, including the fan signed by Lord Byron? Part of my inspiration comes from a childhood experience. When I was young, we lived next door to an elderly woman, once socially prominent but long a widow, childless, pretty much living in seclusion. Her house was one of the fanciest in town but inside was dark and formal, and seemed very exotic to me, having only lived in military housing up to that point. It was filled with nice but odd things from earlier eras. One thing that stands out in my memory—to give you an example—was a pair of ornate wall hangings made with dead birds, stuffed and posed under glass, very Victorian, fancy and creepy at the same time. I suppose some people grew up surrounded by grandma’s “things” but to me, it was like visiting another planet. My mother sent me over to clean her house occasionally, so I got a good look at stuff as I’d dusted and vacuumed. I guess it made more of an impression on me than I realized. The exhibit in the first chapter of The Reckoning was inspired by a show held at the Smithsonian in the 1980s, Treasure Houses of Britain: 500 Years of Private Patronage and Art Collecting. It was an exhibition of art objects from 200 country homes in England, Scotland, Wales and Ireland, meant to illustrate the scope of British private collections from the 15th century to the present. It was jaw-dropping to think that these beautiful things normally graced someone’s actual house (granted, the “house” was a grand manor home), that there were people who lived surrounded by priceless masterworks every day. You write beautifully about several very different eras and geographic locations in The Reckoning. What era and location most intrigued you? What kind of research did you do before writing these scenes? Like most writers, I tend to draw on places and periods in time with which I’m already familiar. This is where being a former intelligence analyst pays off, because you amass a huge amount of random knowledge, especially of geography and history. For instance, when I was with the Defense Department, I spent a lot of time working on Afghanistan—no surprise there—and came to learn a lot about the country and the people. That, combined with a fondness for Kipling, led to the idea of Lanny and Savva running guns in the Hindu Kush. For the character of Savva, the perpetual expat on the run from his inner demons, I drew on the lives of two famous Brits who also fell in love with the desert: Paul Bowles, author of The Sheltering Sky, and T.E. Lawrence, more widely known as Lawrence of Arabia. In some ways, flashy technical devices seem magical, but Adair is not impressed; he dismisses them as distractions. Do you identify with Adair’s critique of modern technology—and society’s addiction to technological devices? Not at all: having grown up in the age before computers, I have a strong appreciation for technology. I meant for Adair’s disdain of modern technology to show, not so much that he didn’t value technological change as that he was tired of having to keep up with the times. That even an immortal being will act like a crotchety old man sometimes. It’s fairly universal as we age, I think, to be frustrated not so much by technology but by constant change. And these days, nothing exemplifies change like technology. It was interesting to put myself in Adair’s position and think about how much life had changed between the 19th and 21st centuries, and to imagine how someone would leapfrog from the Industrial Revolution to the present day. How do you approach writing female characters, like Tilde, Lanny, and Trish? I don’t think I approach female characters any differently than male characters. I try to give all my characters depth, even minor characters. Not to harp on my past life, but analyzing behavior and evaluating people is a big part of intelligence work. You need to figure out what makes a person tick, if they’re being truthful with you, what their motives are, that sort of thing. I try to utilize this experience and understanding of human nature when developing characters. Readers may not see themselves behaving the same way as one of the characters but hopefully, because they understand what drives the characters, their actions will seem natural—inevitable, even. And that’s why we read novels, isn’t it, to step into someone else’s head for the duration of a few pages? Do you believe that anyone is capable of the kind of forgiveness Adair is asking of Lanny? Sure—you see it every day. You see wives go back to philandering or abusive husbands, children nurse elderly parents who once belittled and tormented them, friends stand by each other despite the hurts they’ve inflicted on each other. Sometimes it’s done consciously, but sometimes it’s done because the person has been so shaped by his experiences that he’s unable to function in a “normal” environment. Maybe he won’t leave out of guilt or obligation, or because he fears if he leaves this person, no one else will love him. Lanny is trying to learn from past mistakes, to reach beyond her fears and insecurities—just as we all do—but only time will tell if she’ll be successful. Yes, Adair is a monster. He is as unfeeling as stone, and has done terrible things to innocent people. In The Reckoning, however, his stony heart begins to soften. He vows to change and believes he can give Lanny the kind of devotion she has always wanted, if only she’ll give him a chance. He’s not unlike a felon who has committed a terrible crime, but has gone to prison and done his time. He says he’s reformed and only wants a chance to live a normal life. It’s up to Lanny to decide whether it’s in her heart to forgive him and if she wants to be with him. There’s one more waltz before the dance is over, and we see what Lanny decides in the third book, The Descent. Do you think your characters are capable of experiencing true love? Absolutely. You might ask, however, what I mean by true love. Redemption is a continuing theme in The Taker Trilogy and the driving force behind Lanny, Adair, and Jonathan’s actions. Is it a theme you identify with in other great works of literature? I think I identify more with the lack of redemption in literature. It seems a recent trend—and by recent, I mean the past thirty years or so—that any character who has fallen from grace must learn his lesson and change his ways by the end of the book. Look at Madame Bovary or Wuthering Heights, look at Thomas Hardy. To require happy endings is understandable in a children’s book, but in adult literature it seems disingenuous, because in life, most people don’t redeem themselves. They continue through life nursing their shortcomings, the low-grade alcoholism, the occasional extra-marital fling. Of course, most people aren’t as flawed as Lanny and Jonathan, let alone Adair. But that’s the reason for immortality in the story: when you’re this bad, you need a very long time to straighten yourself out.